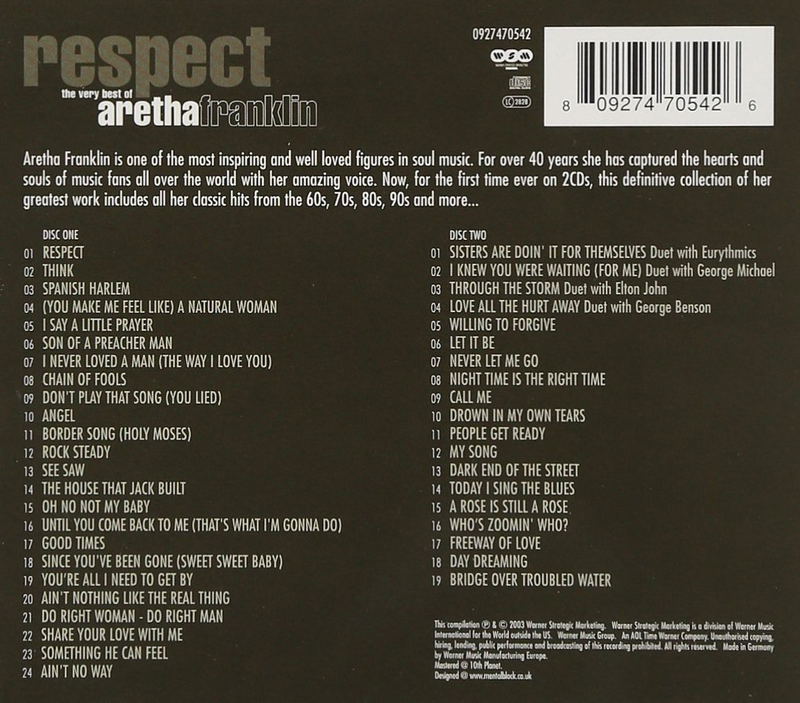 An excellent double album of classic recordings spanning the career of the “Queen Of Soul”. Raised in the gospel tradition, Aretha’s voice, is, of course, without compare. Nonpareil. The Stax/Atlantic backing is excellent too and the sound quality on this release is wonderful. Those strident, punchy Memphis horns, the rumbling bass and Steve Cropper’s searing, funky guitar. The sixties run of classics are all here - the iconic “Respect”, “I Say A Little Prayer”, "Chain Of Fools” and the uplifting, inspirational gospel glory of “Think”. There are other great tracks from this period too - “Share Your Love With Me”, “Good Times”, “See Saw”, “Spanish Harlem”, the horn-driven “Since You’ve Been Gone” and “Oh No, Not My Baby” (a hit for Rod Stewart in the 70s). Other artists’ classics are covered successfully too - the laid back gospel of “Bridge Over Troubled Water”, “Let It Be”, “Son Of A Preacher Man”, “You’re All I Need To Get By” and Elton John/Bernie Taupin’s “Border Song”, which sounds as if it could have been written for Aretha. There is also the copper-bottomed classic soul of “Do Right Woman, Do Right Man”, “(You Make Me Feel Like) A Natural Woman”, “Until You Come Back To Me”, the peerless soul of “Angel” and the righteous, beautiful gospel of “People Get Ready”. The more modern tracks like the rousing “Freeway Of Love”, the duet with George Michael on “I Knew You Were Waiting” and the duet with Annie Lennox, “Sisters Are Doing It For Themselves” are wonderful too. If you need any convincing of Aretha’s greatness, just listen to how she attacks a relatively unknown track like “The House That Jack Built” and turns it into her own piece of soul majesty. 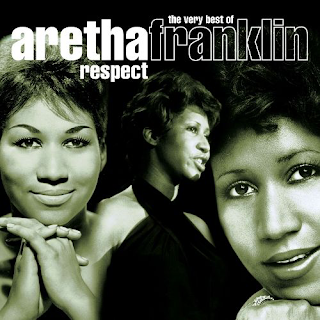 Ditto the dirty funk of “Rock Steady”, with its killer bass line and Aretha’s stone cold funk vocal. There really is no compare to this genre-defining album. Some of the finest soul ever recorded. Just listen to the point, two minutes in, when Aretha finally sings the first line of “Bridge Over Trouble Water” after some gospel improvisations. It sends shivers down the spine. August 16 2018 - Aretha Franklin got on board the train to glory today. RIP.